You may have already heard about how Britmet can help you to upgrade your existing conservatory roof. We’ve plenty of products that suit all types of builds and styles and once you’ve made the initial investment, your heating bills will start to shrink nicely. Conservatory roof replacement is all the rage in the UK at the moment and we can’t think of a better way to add some value to your home without breaking the bank. In terms of saving energy and reclaiming your interior space, replacing your ropy old conservatory roof is the way forward. 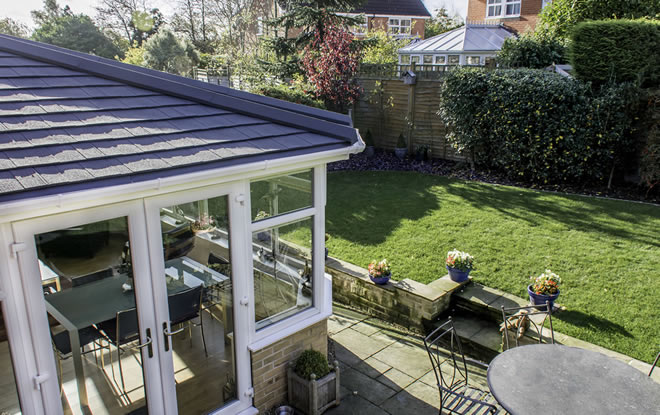 Britmet are only too aware that our competitors are also offering products to help you upgrade your current conservatory roof, however there is an issue. Britmet are the only UK company that offers British Profiles for your conservatory roof upgrades. This means that we will be able to find a close match for your main roof style. Other roofing companies can only provide tiles that would suit houses in Canada/USA/Europe. Why should you be forced to choose a roof tile that isn’t even a close match for your existing roof when Britmet can find you a perfect match?